The mission of HolyTabbs is to uplift and edify saints all over the world by providing a powerful study tool to help make scripture study as effective and meaningful as possible. As a missionary for The Church of Jesus Christ of Latter-Day Saints, serving in Las Vegas, Nevada, I learned the importance of meaningful and focused scripture study. The scripture marking system I used on my mission complemented the Preach My Gospel lessons, and made a huge difference in my study and teaching of the gospel. When I returned home, I realized that although nearly every missionary created some form of marking system, a ready-made system was hard to find. I set out to create a kit that would help missionaries and members more fully study and benefit from Preach My Gospel and the standard works. 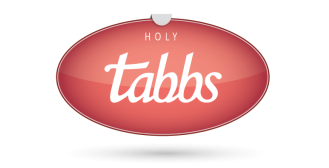 HolyTabbs is the result of our little team's efforts to provide an exceptional study experience to saints all over the world.